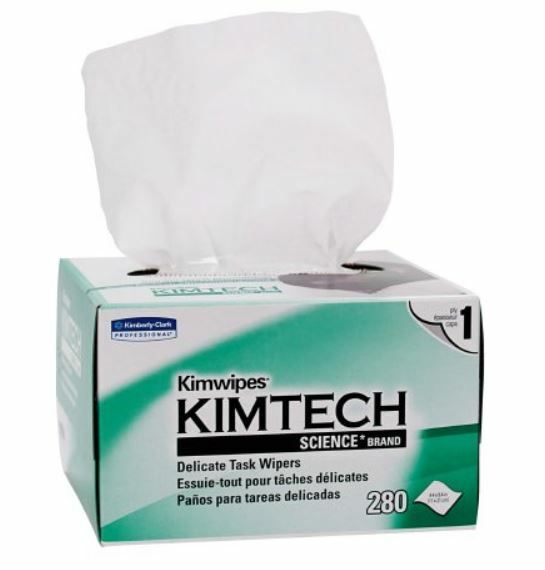 Disposable low-lint wipes measuring 4.5 x 8.5 inches. 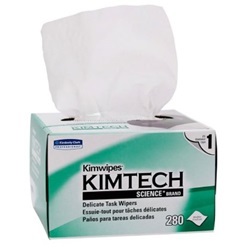 Manufactured by Kimberly Clark. Comes 280 per box. Easily wipe up liquid and dust. Safely cleans lenses, glass surfaces, electronics and lab equipment with no residue.